Seven weeks have passed since our kitchen remodeling job started. It’s been a slow go, but I’m hopeful things will start going a bit faster next week. Of course, I was hopeful the job would pick up speed after the drywall went up and was then finished during weeks five and six. But things came to a screeching halt once again. Although our contractor and his assistant did an excellent job of hanging the drywall, the drywall finishers did a, shall we say, less than stellar job. In fact, the drywall was so badly finished, that our contractor had to hire another finisher to basically redo the entire kitchen and breakfast nook. 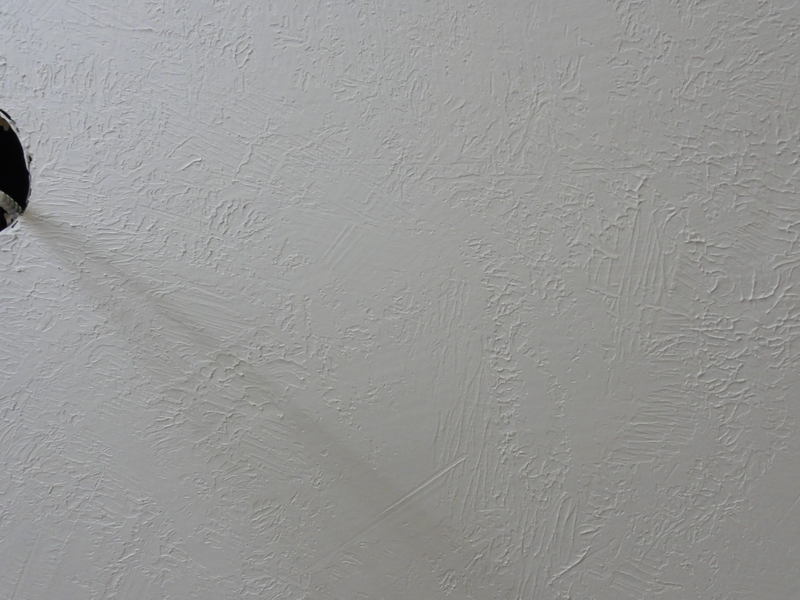 Every single wall and corner, every single archway, and both ceilings were refinished by Armando, who is extremely skilled and definitely a drywall finishing artist. He undoubtedly takes pride in his work, and his skill is apparent. Refinishing the drywall added another three days to the project, but it’s worth it to end up with the superior results Armando provided. 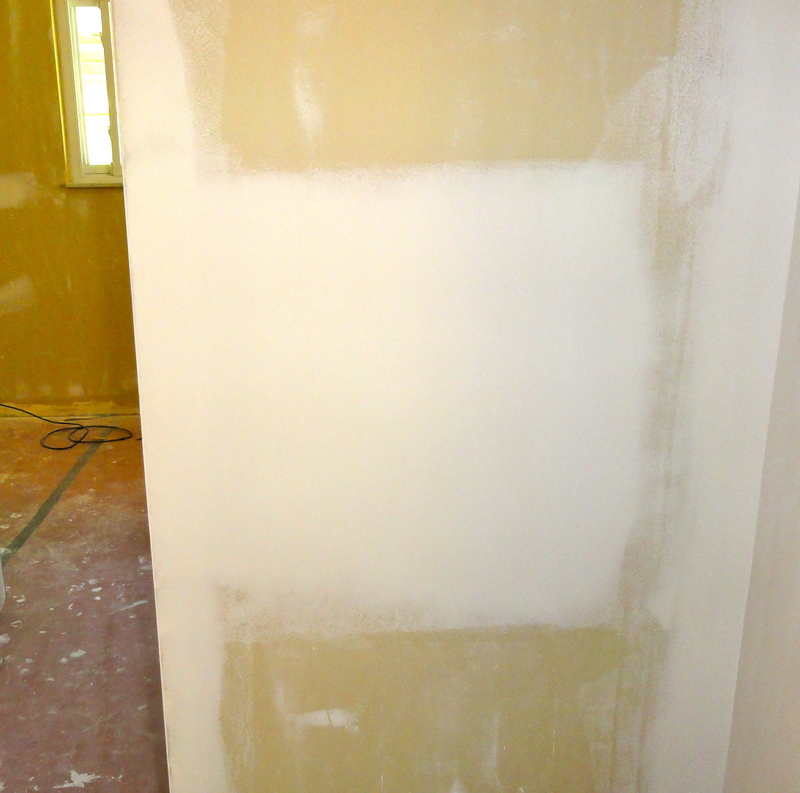 Here are some before and after pictures that might give you some idea of just how bad the drywall was finished the first time, and just how great a job Armando did fixing it. 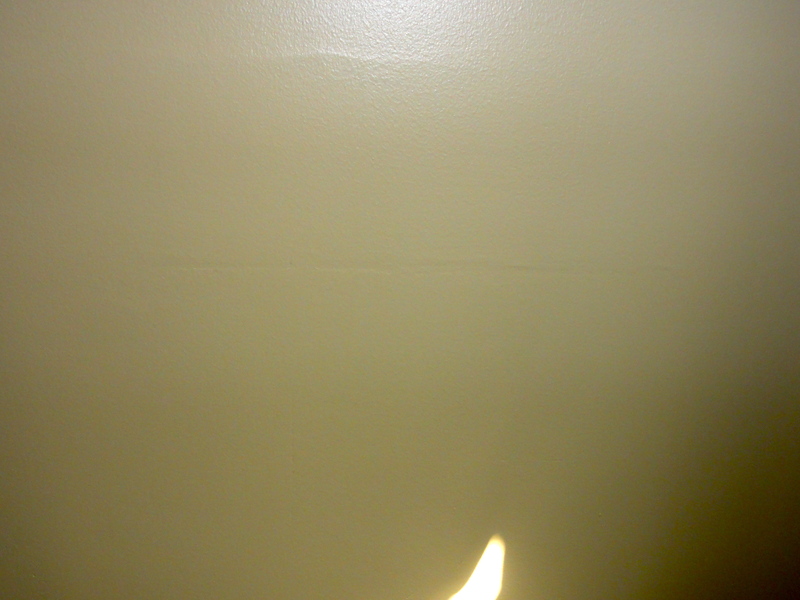 Two caveats: I’m not a good photographer, so the pictures aren’t very good, and the before pictures were taken after the first coat of paint, while the after pictures were all taken before repainting. This is the archway around the entry between the kitchen and hallway, where the old plaster butts the new drywall. Before is on the left, after is on the right. Armando filled in all the divots, scratches, and gouges in both the new drywall, and the old drywall from which the wallpaper had been removed. This is one of the walls in the breakfast nook. 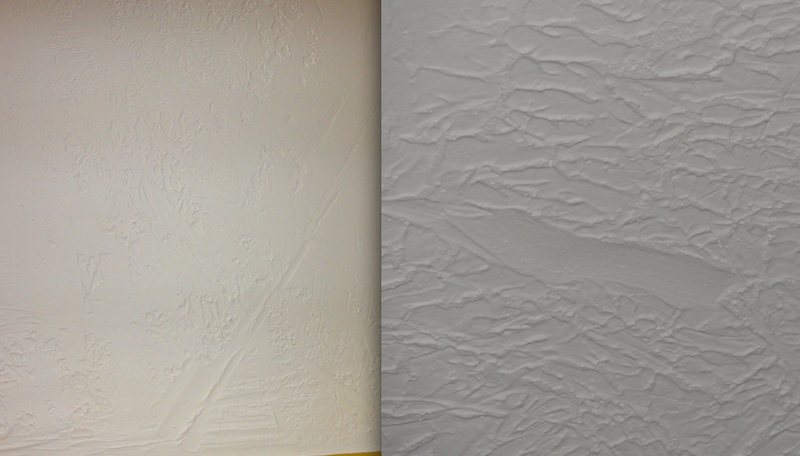 Two “before” shots of the ceiling, side by side. 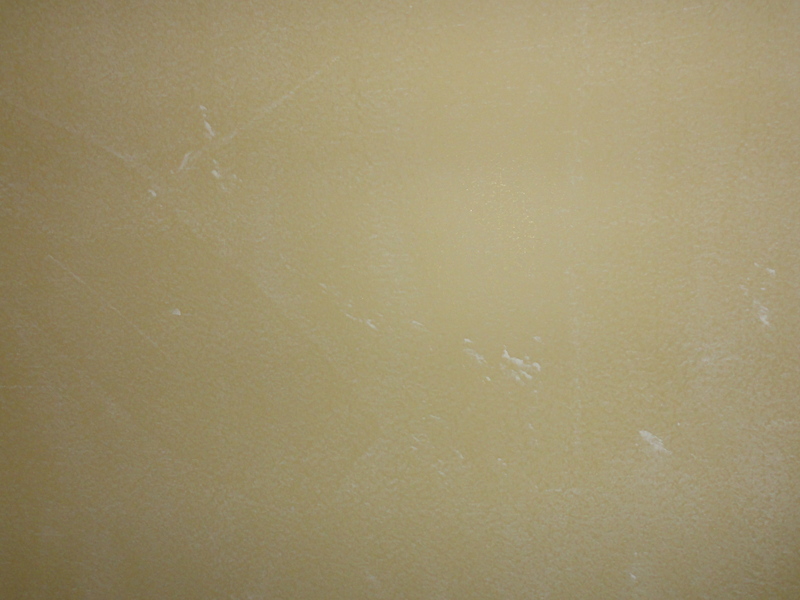 It’s pretty clear that the first drywall finishers didn’t care at all about the quality of their work. These pictures are representative of what the entire ceiling looked like in the breakfast nook. 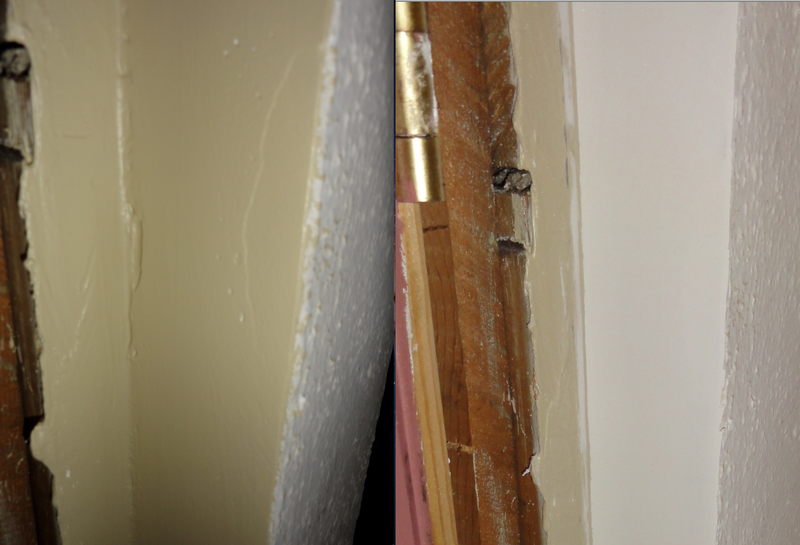 Two close-up pictures of the sort of defects that could be found throughout the ceiling. 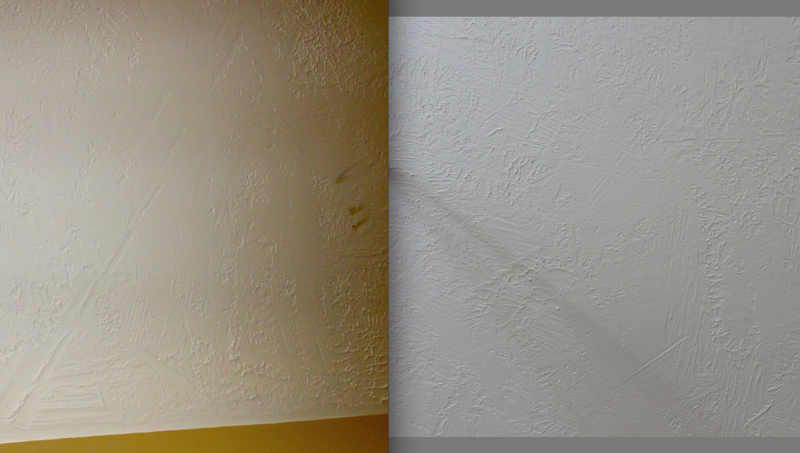 The smear on the right was on the kitchen ceiling. The picture on the left is from the now-infamous breakfast nook. I think this picture shows just how awful the “before” ceiling was in the breakfast nook. And this is after it had been painted! Armando did a great job of fixing the ceiling. 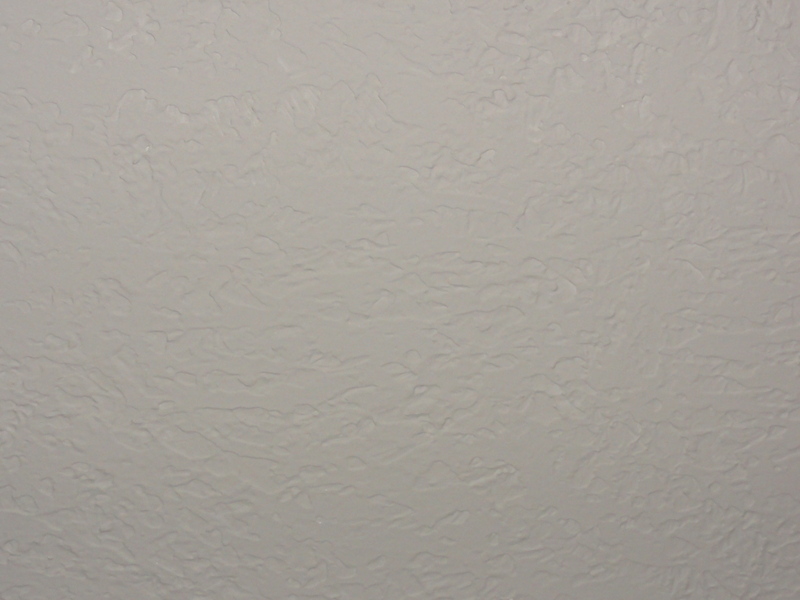 This is what a knock-down stipple ceiling is supposed to look like, and it will look even better after it is painted. Apparently the first drywall finishers didn’t think this defect in the drywall needed to be fixed, even though it isn’t behind any cabinets. But Armando went to work and now this wall is as smooth as can be. ← Books! I Have Books! My grandparents moved the week before last and they had ordered an oven which should have been there at the end of the week before last. When my granddad phoned the market they had ordered the oven from on Friday, the employee (who was already p”ssing me off by only listening to him on the loudspeaker) declared in a very unfriendly tone that my grandparents hadn’t understood him right and that the oven would take some time (note: 11 days had passed since the order had been placed!) … One of the few times I got to see (and hear) my grandfather going through the roof. The oven came last thursday and they connected it to the electronics without charging anything because of the inconveniences.